The following list of organizations offer resources and assistance to dog and cat owners looking for help with vet bills or pet food. Because our pets are a life-long commitment, it’s not unheard of for a dog or cat mom or dad to face financial hardship at some point in the life of their fur-children. We can all agree that before bringing an animal into your heart and home, it’s important to be prepared for the financial responsibilities – veterinary care, quality food and treats, preventative measures, etc. – that come along with pet parenthood. However, over the course of that 15-20+ year commitment, things happen. Jobs are lost, injuries or accidents make it impossible to work, economies take a hit. 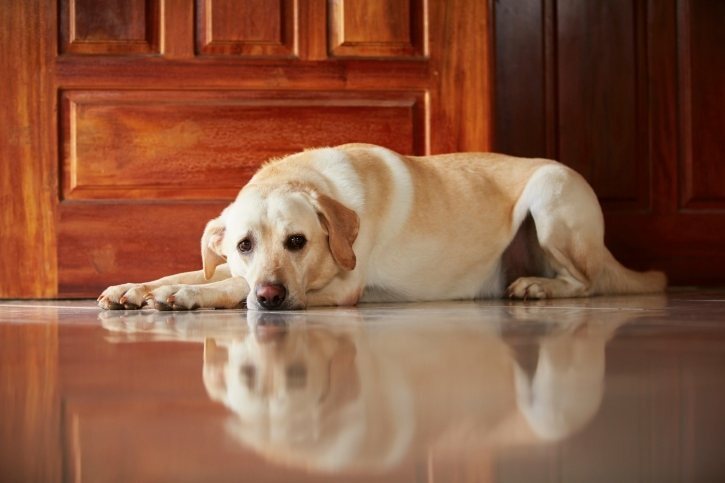 Unfortunately, in many cases of financial hardship, it’s the family pet that suffers. Fortunately, there IS help available! Below is a list of national and state-specific organizations that assist pet parents in need of financial assistance. These organizations understand that the very best place for a pet is with the family that loves them. Some provide help paying veterinary bills, some help with food, some offer free or low-cost spay and neuters, while others assist pets that meet specific requirements. All are valuable resources for pet parents who may be facing financial hardship but have committed to providing the very best life-long home for their pet. Please remember, this is only a list of known available resources. Each organization has its own rules and requirements. You will need to research each organization separately to determine if you qualify for assistance. Care Credit: Provides a line of credit to parents of pets in need of veterinary care. Online application. For the Love of Alex, Inc.: Work with reputable veterinary hospitals to establish funds for families who are unable to afford veterinary care for their beloved pet. Vetary: Provide simplified financing/credit to owners of pets needing veterinary care, instant online approval. There may be additional resources not listed here available in your state! Contact your local Humane Society, SPCA, and animal services who may be able to assist. 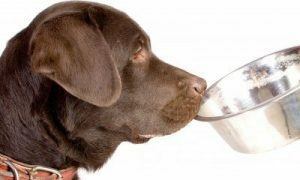 Empty Bowl Pet Food Pantry: Pet assistance for disaster victims and veterans, seniors, domestic violence victims, functionally disabled people with service animals, homeless and near homeless people; special programs include pet food and supplies, temporary housing for emergencies. Kibblez of Love: Palm Beach & Broward counties. Receive pet food assistance for spayed and neutered family pets residing in the home. Proof of spay & neuter required for assistance. People and Pets Together: (formerly The Pet Project) Offers programs to prevent owner surrender. Vaccination clinics, subsidize pet care for clients in need. The pet food shelf distributes pet food to qualified clients living in Powderhorn, Phillips, and Corcoran neighborhoods. If you are aware of additional resources not listed above, please leave a comment below with the name of the organization. And, a vast majority of these amazing organizations operate on donations. Please consider contributing to an organization in your area. I adopt many dogs and rise up them and gave them to pet lovers . Can you specify which links are incorrect? Fur Kids Foundation out of Gillette, Wyoming is a nonprofit helps local families with pets with emergency veterinary care in Campbell County, http://www.furkidsfoundation.org. PetAid Colorado is now the Dumb Friends League Solutions Veterinary Hospital. DDFL also runs a free cat spay/neuter clinic called Solutions Clinic. Both of these are located in Denver. I work for Low Cost Pet Vax, a low cost pet vaccination group operating in Dallas-Fort Worth. We also offer low cost parvo treatment, heartworm treatment, surgery and more, with payment plans available. Thanks for raising such important topic. It can save lot of bucks of a dog owner. Nice one, Thank you so much. Friends of Animals (www.friendsofanimals.org) runs a national, low-cost spay/neuter voucher program. Heart2Heart Pet Lifeline aims to keep pets out of shelters and rescues and help owners keep them in loving homes. To that end, we provide financial assistance for veterinary care to income-eligible pet families in need who do not have other options for care. Currently we provide assistance for residents of La Crosse County in Wisconsin. Thank you for posting this, you are a wonderful person! I would like to thank you for the efforts you have made in writing this article. It's really awesome. If anyone knows of resources in MN PLEASE LET ME KNOW.I HAVE A SPECIAL NEEDS CAT WHO IS NOT VACCINATED PER VET RECOMMENDATIONS. That's a lot of resources. It's amazing that Dallas area is included on the list. I'm going to check out the nearest on my area. A very big thanks for sharing this on your post. Looking forward to other helpful posts here. The Humane Society of Truckee-Tahoe offers many assistance programs and services for residents of our community and surrounding communities, including low-cost and FREE spay/neuter surgery for qualifying pets! Added to the list! Thanks so much for an amazing program! There’s Henry’s Cupboard at the Brandywine Valley SPCA in West Chester PA 19380. We are open twice a month for seniors and those on disablity, food stamps, welfare, etc. i was hoping if you could help me get the word out about raising funds for vet expenses for my dog. every share and donation helps AND enters you in to win a grand cash prize, including lots of freebies. looking for kind hearted people to help me reach as many people as possible. Pet Pantry of Lorain County. We are located in Ohio and Helping those in need with dog & cat food and cat litter. Also help with spay/neuter when financially possible. Humane Ohio in Toledo is a low-cost spay/neuter clinic (which you have listed), and also has a pet food bank. Thanks for this great list! I am in desperate need. Could someone please give me some insight on where to get assistance for medical care funding. My pit bull was purposely hit today as we were walking and sustained severe injuries and in need of paying for medical care to keep him alive. Please if anyone could help. Bi-State Pet Food Pantry in St. Louis, Missouri is an all volunteer 501c3 organization providing pet food assistance to residents in the Greater St. Louis area. Currently, we assist 235 families a month by providing over 15,000 lbs of food and treats. If you would please add to Missouri that would be amazing! Hi MaryBeth! The Animal House Project was already listed, but I’ve now added Chester Country Pet Food Pantry and Rescue Pet Food Pantry as separate listings. Thanks, so very much, for your incredible contribution to animal welfare. It’s on the list! Thanks, Judy. Companion Bridge® is an online community for those with animals that require significant medical care to have a central place to inform family and friends and to solicit help, be it physical, emotional or financial. Added! Thanks very much for reaching out. Added – Thanks so much, Julie. We have taken in 2 dogs from my husband’s nephew and have not received their papers so we don’t know the exact ages of the dogs. We love them and they have become part of our family. However, we can not support taking them to the vet all the time. One is an American Bulldog and he is neutered but the medications for heart worm, fleas and ticks and any other medication, is above and beyond our financial abilities. The English Bulldog we just got from the same owner, was back in October 2015. He has some drainage from his eyes, that is a little green. I thought it was allergies so I bought some children’s allergy medication. That didn’t work. We are on a monthly budget due to my husband having a stroke and needing me at home so it’s hard to get our meds let alone take the dogs to the vet. Our English Bulldog is not altered and it’s a big change from Miami, FL to Mid Missouri!! If you know of any help in the central MO area, so that I can get the English, it would be appreciated!! I also believe the English might be going blind in one eye. I would love to get him in and his paperwork!! Is there any way to get his papers without the original owner? His nephew was transferred from Miami to Anchorage so, they didn’t think the trip would be good for him. They had to drive and with both of them being active military, and 4 kids, one which is handicapped, it would not have been good on any of them. So please, don’t judge him, he tried but my husband wanted to bring him here to help them out. S/Nipped is a low-cost spay/neuter & vaccine clinic in Coos Bay, Oregon. Please include the Colorado Pet Pantry pet food bank in this great list. Thanks! Doddridge County Humane Society, Inc. in Salem, WV has spay/neuter vouchers for Doddridge County residents. With Love From Lily is a new non-profit in Connecticut which was created in memory of our Black Lab, Lily. Our mission is to provide financial assistance for veterinary expenses for low income families in the case of illness or disease. We also want to assistance other animal welfare non-profits with pet food donations and to encourage others to get involved. Please check out our website and follow us on Facebook. With Love From Lily is a new non-profit in Connecticut that was created in memory of our Black Lab, Lily. Our mission is to assistance low income families, especially senior citizens and people with disabilities, with medical expenses from illnesses or disease for their pets. We also will help with pet food for families and other animal welfare non-profits. Please visit our website, like our Facebook page and tell your veterinarians about us. Palm Beach & Broward counties within Florida. Receive pet food assistance for spayed and neutered family pets residing in the home. Proof of spay & neuter required for assistance. The mission of the Tipper and Squirt Care for Cushing’s Fund, Inc. is to financially aid families who are struggling to pay their dogs’ medical costs associated with the diagnosis and treatment of this complex disease, hyperadrenocorticism or more commonly called canine Cushing’s. Tipper and Squirt Care For Cushing’s Fund Inc. is a 501c.3 Nonprofit Charity. The mission of the Tipper and Squirt Care for Cushing’s Fund, Inc. is to financially aid families who are struggling to pay their dogs’ medical costs associated with the diagnosis and treatment of the complex disease, hyperadrenocorticism or canine Cushing’s. FYI, Cats In Crisis is closing their doors (per their website). For NC, residents of Gaston County have a low-cost spay/neuter clinic (Gaston County Low Cost Spay/Neuter Clinic) that offers free and low cost s/n for county residents. They get grants from the local Animal Control as well as from PetSmart Charities and other organizations. The SPCA of Anne Arundel County in Annapolis, Maryland provides a low cost spay and neuter clinic as well as a pet food bank for low income families.